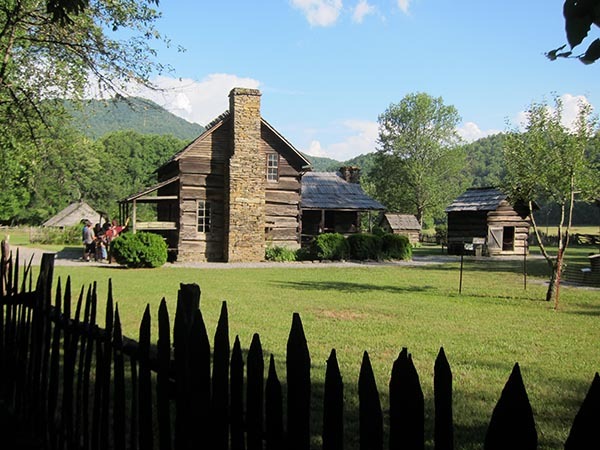 The Mountain Farm Museum is situated on the banks of the Oconaluftee River just inside Great Smoky Mountains National Park. 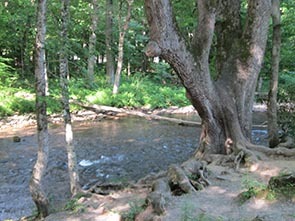 The museum is located behind the Oconaluftee Visitor Center at the Cherokee NC entrance to the national park. 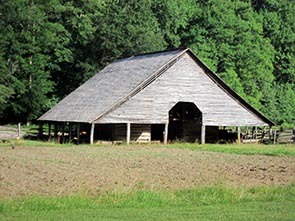 The Farm Museum is a collection of southern Appalachian farm buildings assembled from different locations throughout the Park. 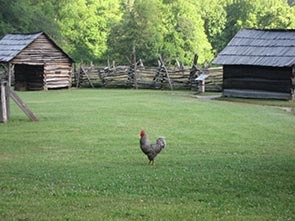 The farmstead has a crop in the field with the Smoky Mountains as a backdrop. Live farm animals are raised during the summer. 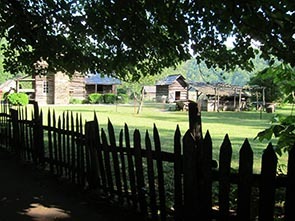 Visitors are welcome to visit the chestnut log farmhouse, barn, hen house, apple house, springhouse, and blacksmith shop. 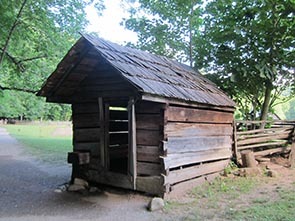 Most of the structures at the Oconaluftee Mountain Farm Museum were built in the late 19th century by the Davis family and were preserved at the Mountain Farm Museum in the 1950s. 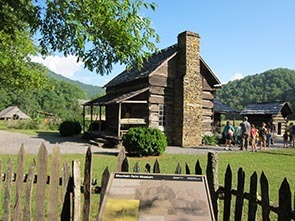 During the summer months, Great Smoky Mountains National Park staff and volunteers give demonstrations of traditional Smoky Mountain ways at the Mountain Farm Museum, including black-smithing, plowing, and molasses making.